To complement the French Cavalry and Artillery we introduce this splendid set. The 45 pieces include troops in various fighting poses and an officer mounted on horseback. 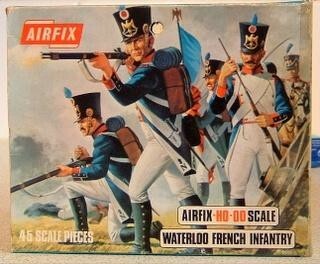 All figures are molded in typical Napoleonic uniform.